Our Fake Diplomas and Transcripts are meticulously crafted for realism. Our U.S. university diplomas contain a gold-fused seal of the university you choose, and Transcripts that contain an additional embossed “Office of the Registrar” seal at the bottom. 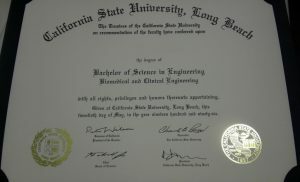 We print using professional Laser and Color Laser printers for all Diplomas and transcripts. 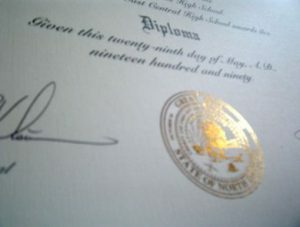 Foil-Fusing Technology allows us to transform any Diploma Seal into a Gold-Fused Seal for a very realistic diploma. 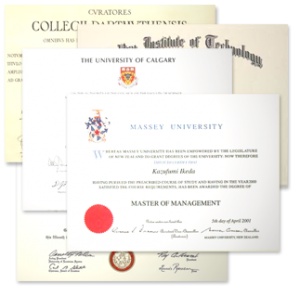 Our Diploma parchment is 167-lb/m2 Ivory Cream and represents the most common weight and color of standard university and college diplomas and certificates. Our Transcripts are printed on genuine Official Transcript paper and will contain the proper coursework to achieve the desired chosen Degree and Major selected. Note: We make transcripts to be entirely realistic, but we do not attempt to duplicate them as we do the diploma. You WILL get, however, correct logo, seal and embossed registrar signature stamp.